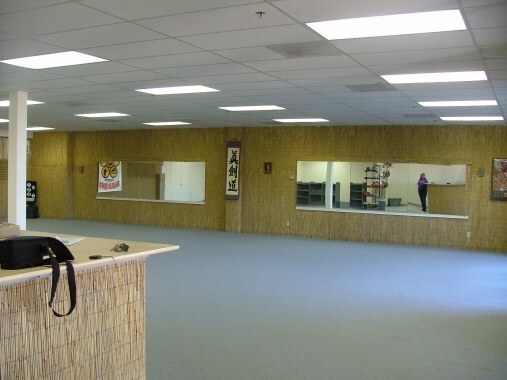 Late in 1995, Jerry Shaw came to Mesa, Arizona with little more than some personal belongings, a black belt awarded to him by a Shaolin Kenpo school in Maine, and the dream of starting a karate school to offer affordable martial arts to people who did not normally have the opportunity to train. Shaolin Kenpo is a well-rounded martial art made up of what the founders felt was the best of the Asian arts they studied. The system incorprates elements of robust and external Kenpo karate, fluid and internal Shaolin Kung Fu, and the hands on practicality of Ju-Jitsu coupled with training in martial philosophy and good physical conditioning. But, Sensei Shaw was on his own in launching his training program. Opening and operating on a shoestring budget, he did not have the money to buy a franchise within the system he trained under. As such, his home school deemed him a renegade and would offer him no support in his efforts. Most people would have given up any hope for success in the face of this dearth of support, but Jerry perservered and, after hurdling numerous other obstacles in addition to the initial set-back, has developed a school some 150 students strong and growing. Students range in age from just 4 years old (in our Tots program) to those well into their 50's. 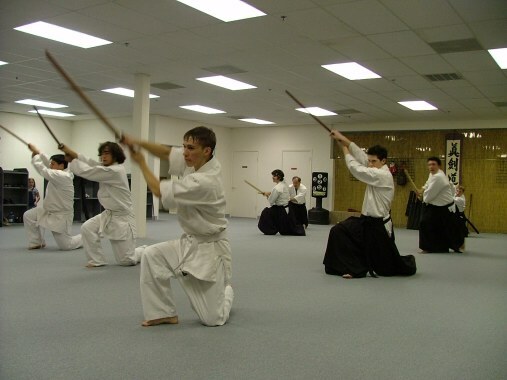 Despite it's humble beginnings, the school has also expanded it's offerings to include Shinkendo, a style Japanese sword training, a Grappling program, Remy Presas' Modern Arnis, Tournament Team training, and both Cardio and Combative Kickboxing programs. 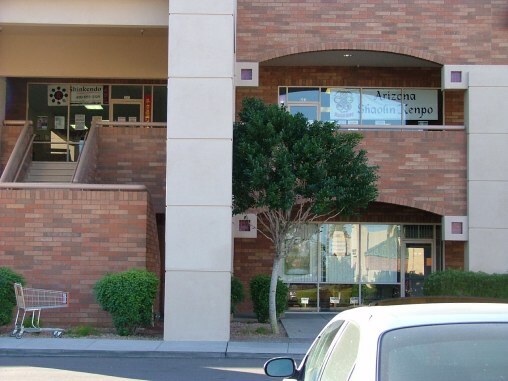 The central mission of Arizona Shaolin Kenpo (or "A.S.K.A." as it's known locally) is to offer comprehensive training in diverse martial styles so that everyone, regardless of age, gender, interests, goals, or level of ability or physical condititoning can pursue and enjoy the numerous benefits that martial training has to offer. From left to right: our front window, our two training areas (with views from front to back and from back to front), and our lobby area from the front training floor. 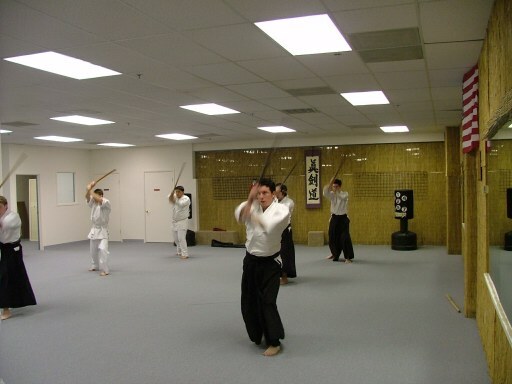 The dojos welcomes visitors to come observe classes and is located on the SE corner of Glibert Rd. and University in Mesa. Now a 2nd location on Higley and Brown Rd. Contact us at 480-649-8225 regarding the various class times.